Microsoft is giant in computing devices but is on the growing stage when it comes to smartphones. But it seems like Microsoft is sure to come out of this tag line with its flagship Lumia 950. It is sure to challenge some of the competitive smart phones in the market with its powerful hardware and software features which looks compelling. The phone does an amazing job on showcasing its Operating System i.e. Windows 10. The Office support, Windows Hello iris-based security, Cortana integration, and the option to use the smartphone as a PC using Continuum feature are some of the eye-catching features in the first go. Lumia 950 looks very pretty in plastic which is clad in black polycarbonate or matte white shell and with plenty of pixels. It has a super sharp and vibrant display. AMOLED capacitive touchscreen with 5.2 inches screen and 1440*2560 resolution. Microsoft Windows 10 OS with Qualcomm MSM8992 Snapdragon 808. It has a dedicated slot for microSD card which can support upto 200GB. The primary camera is of 20 MP, f/1.9, 26mm with Carl Zeiss optics, OIS along with autofocus, and triple-LED RGB flash. The sensors are Iris scanner, compass, barometer, sensor core, accelerometer, gyro, proximity. The networking options include WLAN, Bluetooth, GPS, NFC, Radio and USB. The battery is of Li-Ion 3000 mAh with a backup of 67 hrs. Microsoft seems to be really focused on providing useful features for the customers rather than just making it a fashionable gadget. Lumia 950 offers a very good bunch of features with a sharp and vibrant screen, camera seems to be really better and the phone has got a good storage space. The advanced features like Windows Hello is IR-powered, iris scanning feature is used to unlock the phone – such features sets this phone apart from the herd. The feature Continuum allows the Lumia 950 to power a PCby using just one USB-C port. Well we might have to wait and watch the trend if the Lumia 950 alone can pave a way for Microsoft in its smartphone venture. However, Microsoft is definitely putting a blueprint for its partners to follow. This definitely is a big step! 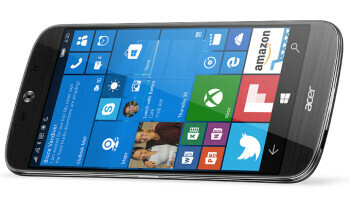 Click Here for Cheapest Lumia 950 Offers and Best Lumia 950 XL Offers at Lumiabestdeals.co.uk.